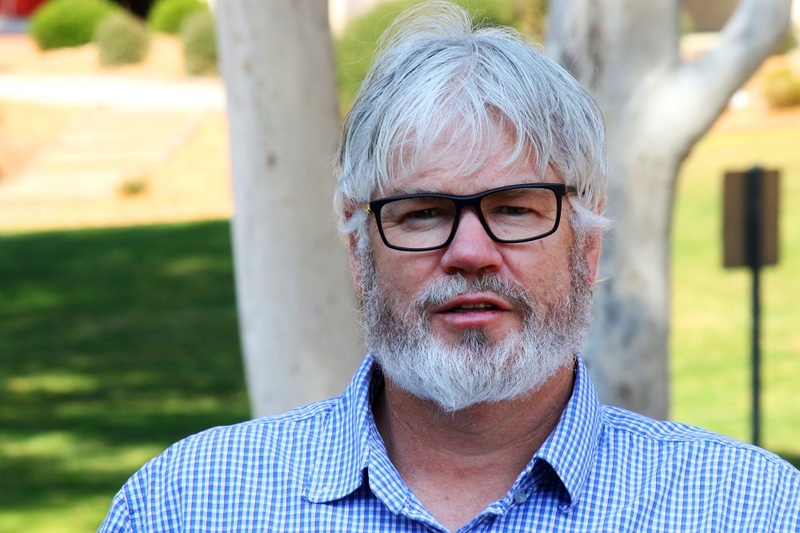 27 September 2018: Rodney Ubrihien has had an eventful PhD journey. As he worked to write his thesis for his Doctor of Philosophy (Applied Science), he also became a father – not once, but twice. “Ben was born in 2012, just as I finished my Honours, and Joshua came along in 2014, right in the middle of my PhD,” Dr Ubrihien said. And his children have cemented his choice to work in environmental science. Becoming a father in the middle of writing his thesis was quite an experience. Dr Ubrihien was thankful that his supervisors were so accommodating in terms of deadlines, taking into account disrupted sleep and unsettled schedules. “I worked from home a lot more, and finishing that thesis became even more challenging,” he said. A bit of discipline and focus went a long way, and his partner and two sons proudly welcomed a doctor into the family this week. His graduation has been the culmination of a series of unexpected twists. Ten years ago, Dr Ubrihien’s life was mapped out. There were his previous jobs in the banking and the food and beverage industries, and in the future, marriage and kids. Dr Ubrihien decided to change his life course. His new path led him to the University of Canberra, where he pursued a Bachelor of Environmental Science degree in 2008. “I grew up on a farm and have always enjoyed outdoor activities like walking, camping and fishing,” he said. He said entering university as a mature age student was a good thing because he had knowledge of what it was like to be in the workforce and that helped inform his studies. “I found myself really motivated by Professor Bill Maher’s teaching and Dr Anne Taylor was also someone I worked with closely in my Honours and PhD work,” he said. Spending part of his degree working in the ecochemistry laboratory, Dr Ubrihien found particular resonance with environmental sciences, homing in on how chemicals move through the environment and impact organisms. Today, his sons sometimes join him as he does fieldwork.